For this last Monday night dinner, we did a Thanksgiving theme for the food. We have been doing a lot of cakes and pies, so we wanted something a little different, but still keeping with the holidays. 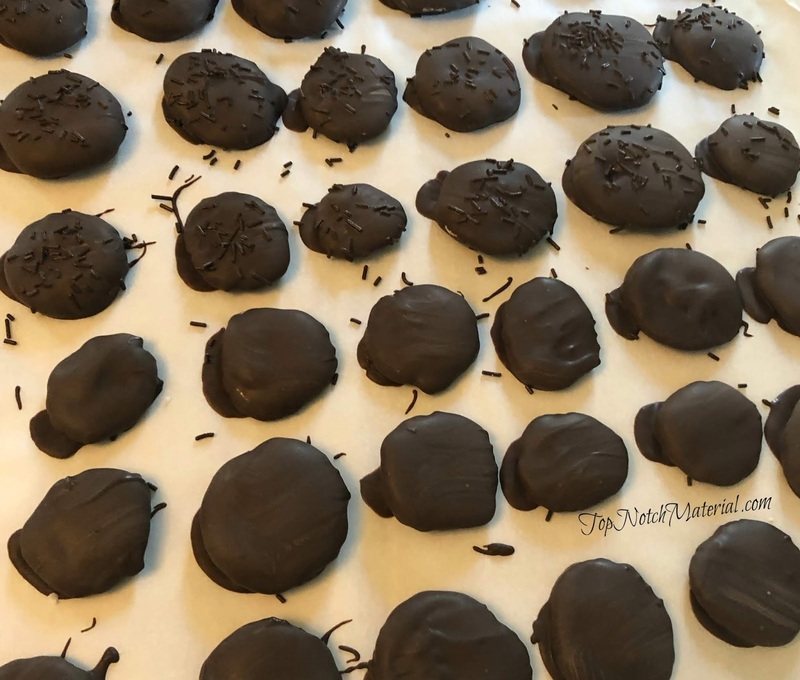 So, I decided to make homemade peppermint patties. Only 5 ingredients, take a little time but easy. I love cooking and baking, and the recipes I love the most are the easiest. Using an electric mixer like a Kitchen aid combine butter, peppermint extract, corn syrup and powdered sugar until well combined (it will look like a ball of dough). Take a small amount (depends on how big you want the patties), roll into a ball and then flatten with your hands. 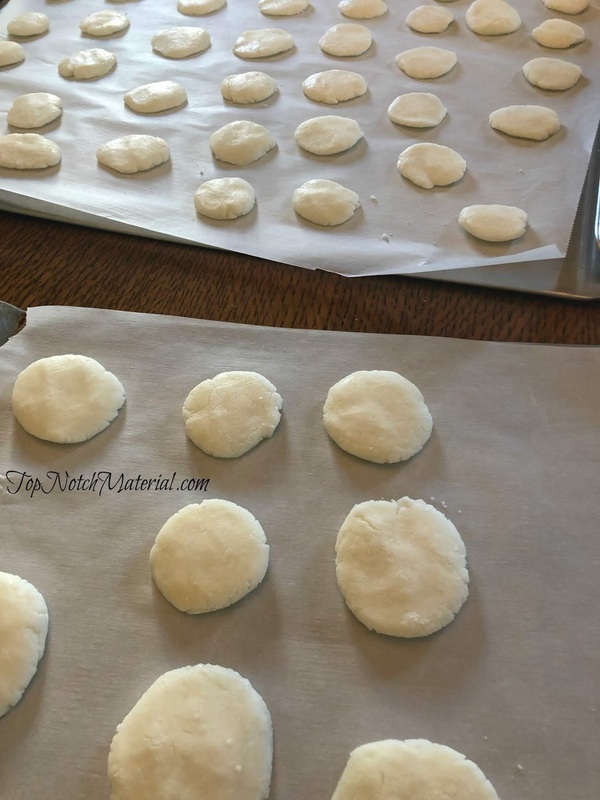 Places onto parchment paper. Keep doing this until all the dough is used up. Then place into the freezer for about 15 minutes. Melt the dipping chocolate. Dip each patty into the chocolate and then place back onto the parchment paper. If you want to put sprinkles on, do this right away as dipping chocolate melts FAST. I love using peppermint sugar crystals. Regular sprinkles work as well, or whatever you want to use. Once they are all set, store in an airtight container to keep them fresh. Oh these look so good!! 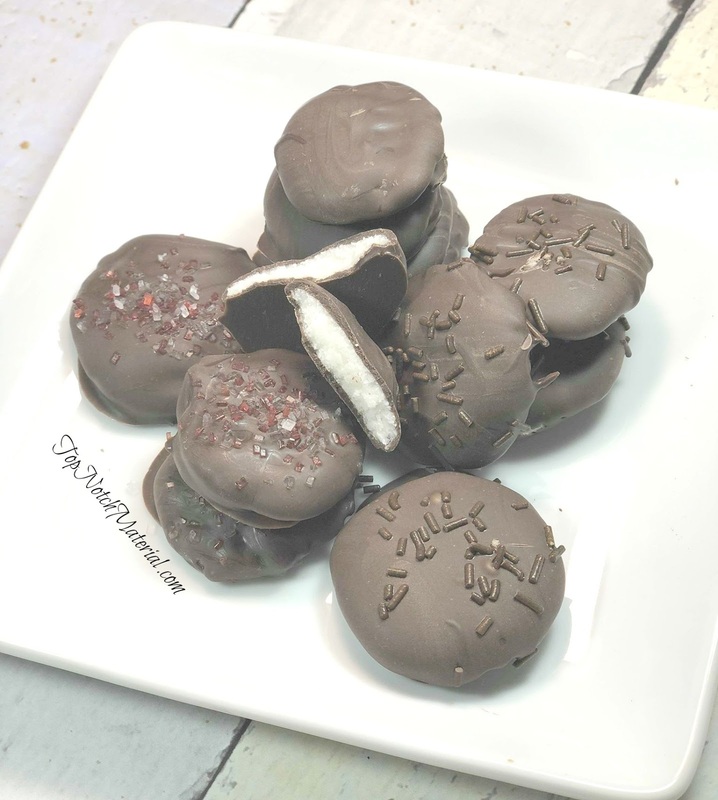 I love peppermint patties! !I didn't know they were so easy to make! !